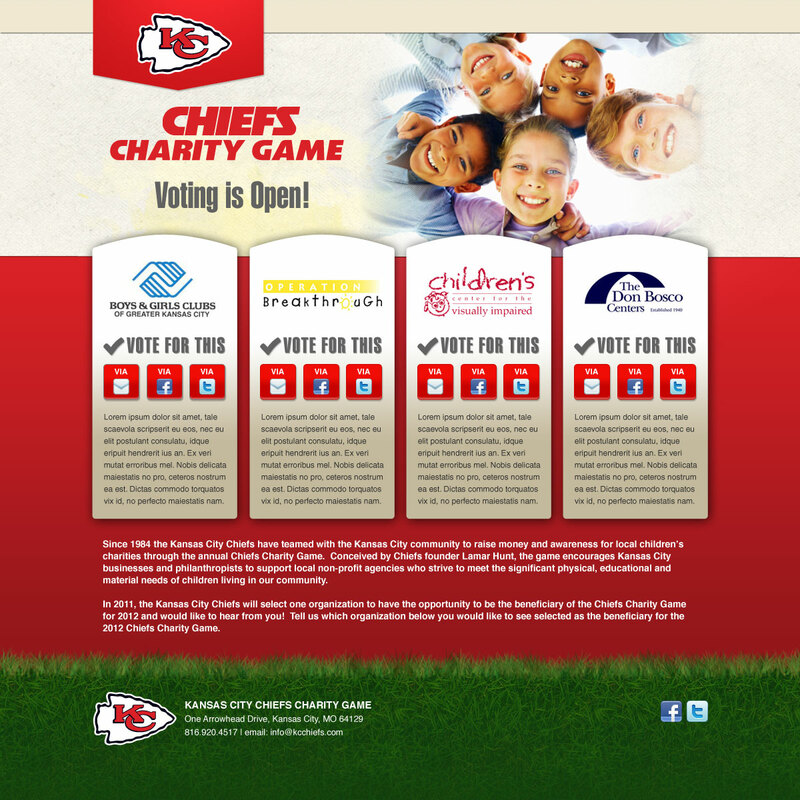 The Kansas City Chiefs annually run the Chiefs Charity Game, in which a local charity is named the recipient for that year, and has the ability to raise money for a year or more via gifts by the Chiefs organization that they can then sell to sponsors. The Hunt family selects the winner, but this year they wanted to get public input and so they had us build a mini-app to collect votes and track them on the backend. We were able to let people vote in the method that they were comfortable with – by authorizing themselves using Twitter or Facebook credentials, or an email address. 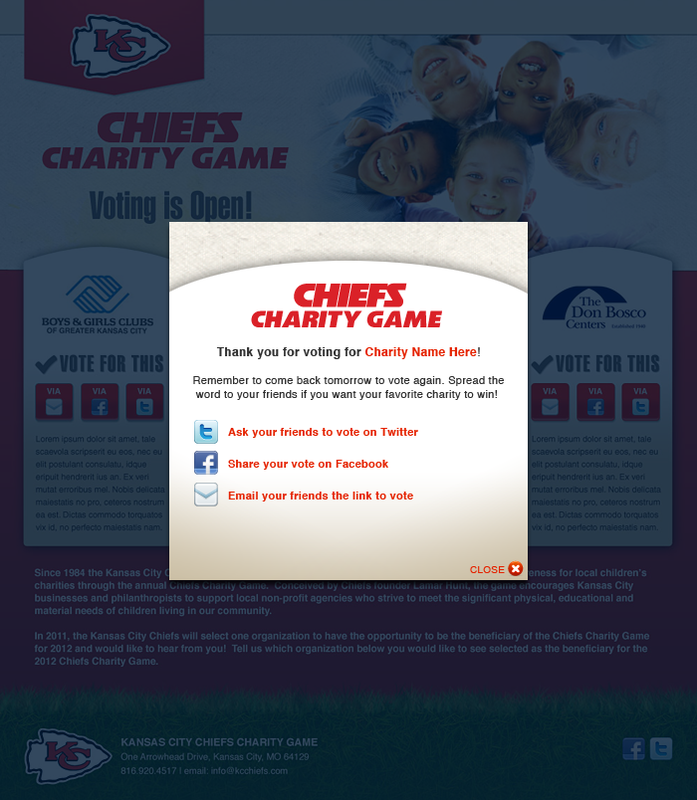 We also added social sharing to make it easy for charities and their fans to drum up support and get more votes. Having built the database engine and functional code, we can now use this voting mini-app for other projects and rebrand it for a completely custom experience each time.